Personal Mission Statement: My passion is to provide a full menu of services and benefits to my customers based on experience and enthusiasm, and focused on their goals and wants. As a real estate consultant with since 1984, I am willing to do “whatever” it takes to provide smooth moves for families in transition. From the beginning to the end of the transaction and after, my clients are treated with the utmost respect and consideration. Their goals become my goals and their best interest is always my focus. I am dedicated to guaranteeing their happiness and success, in their first transaction and next transactions for a lifetime. All of these involvements in her community have enhanced her ability to provide “superior” service to her clients and co-workers thus helping to elevate the level of professionalism within the industry. She is driven to serve others in a manor that they wish to be served exceeding their expectations… creating a desire in them to share their experience with others, thus referring others to her, 86% of her business is repeat or referral business. Referrals are the lifeblood of her business. 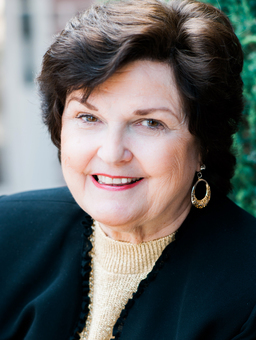 Dolly Hingst is the Super Servant of the Real Estate Market in Northeast Tarrant County. I have worked with Dolly Hingst REALTOR® to REALTOR® and in professional organizations, particularly as leaders in Women’s Council of REALTORS, and in local and state REALTOR associations. She exhibits strong integrity and caring in her interactions with all people, has a delightful sense of levity and performs at stellar levels. It is a privilege and an honor to give Dolly the highest endorsement. I have actually enjoyed my experience relocating because Dolly Hingst made it so easy to understand the process. I never felt lost or confused. Other than being really knowlegeable on the real estate area, she has a number of other skills that came in handy when dealing with me and my family (i.e., she gives my children “assignments” so that we can talk business, she gives me all kinds of brilliant ideas, and she is so funny!). She is very patient too, because she knows what a big commitment it is to buy and sell a home. I am very pleased to say the least. Dolly listed our home and sold it the next day! We were extremely happy with the smooth and speedy sale and closing. Five years before she had sold my wife the same house! We had previously been listed for six months with another agency. Dolly makes selling home no problem! Having consulted with other real estate agents, it was a unique experience to find a true Professional REALTOR who cared about my needs. Dolly Hingst is a True Professional. She gets the job done with the greatest of ease, and a spirit of concern for her customers/clients as well as her profession. At a party while talking about our recent ski trip, Dolly mentioned a “great” houses in a good location at a real value. We looked and liked it, and put our house on the market. One week later ours was sold and we bought the house she showed us, at a real savings! Both transactions closed the same week with all the obstacles being overcome with ease. Dolly knows her business! This was one of the smoothest deals I have been involved with. Overall an extremely pleasant business transaction. Dolly was very professional.